Full body exercise equipment! The Multi Jungle 5 Stacks is a multi-faceted piece of equipment that can be customized with various add-ons, configurations and setups to provide exercisers with nearly limitless workout variety. This workout equipment Multi-Jungle is with eight individual stations to choose from, and the ability to configure them in unlimited ways, the scalability and customization is endless. Multiple stations easily allow several users to work out simultaneously and to move efficiently from station to station. 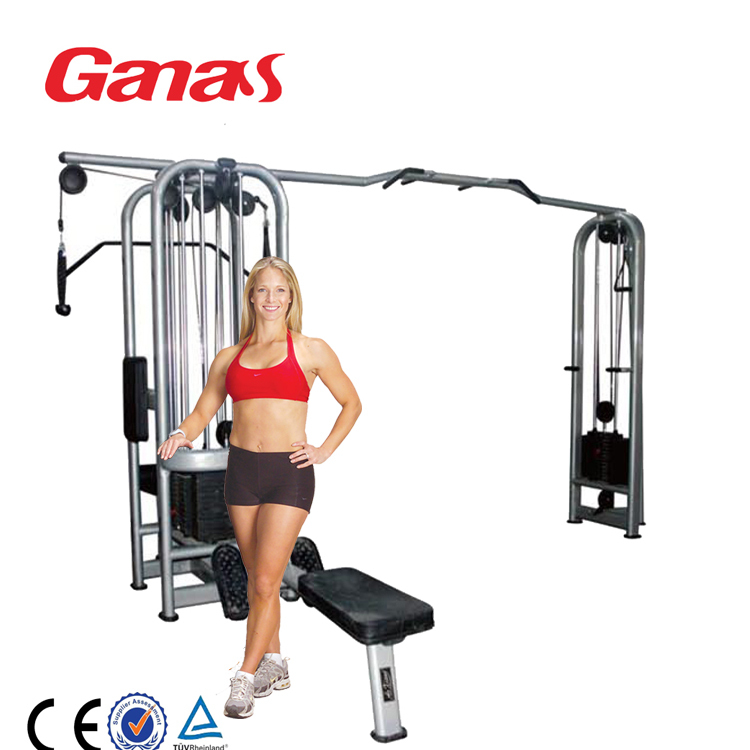 Looking for ideal Full Body Exercise Equipment Manufacturer & supplier ? We have a wide selection at great prices to help you get creative. All the All in One Exercise Equipment are quality guaranteed. We are China Origin Factory of Multipurpose Weight Machine. If you have any question, please feel free to contact us.